This wacky cabinet on wheels labelled the Alice in Wonderland cabinet smashes together a range of materials and styles which some might describe as chaos. It carries common furniture features fabricated in the oak sections of the cabinet and morphs into a more straight lined clean cut lines type of style using MDF board. The photo does not do the cabinet justice being so white and bright much of the striking aspect of the design is not noticeable. 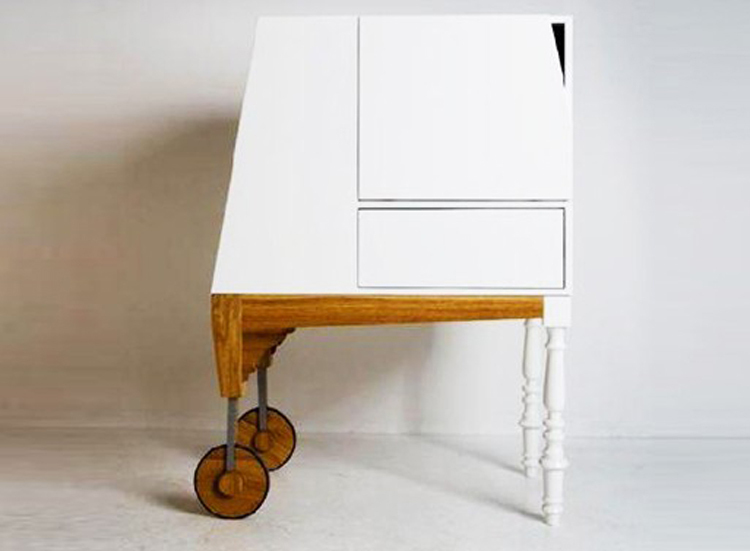 It is a cabinet/writing desk built into one piece, or at least that was the designers intentions. Curiosity was a big part of the film “Alice in Wonderland” and this combination of ideas, materials and styles makes one curious as to what the designer was thinking, just like the many stories on the internet of what the writers of “Alice and Wonderland” were thinking or indeed taking while writing that story. Also the correlation between the rabbit hole in the film this cabinet has lots of hidden compartments within the design, and the common theme of bright and white color seen throughout the scenes. 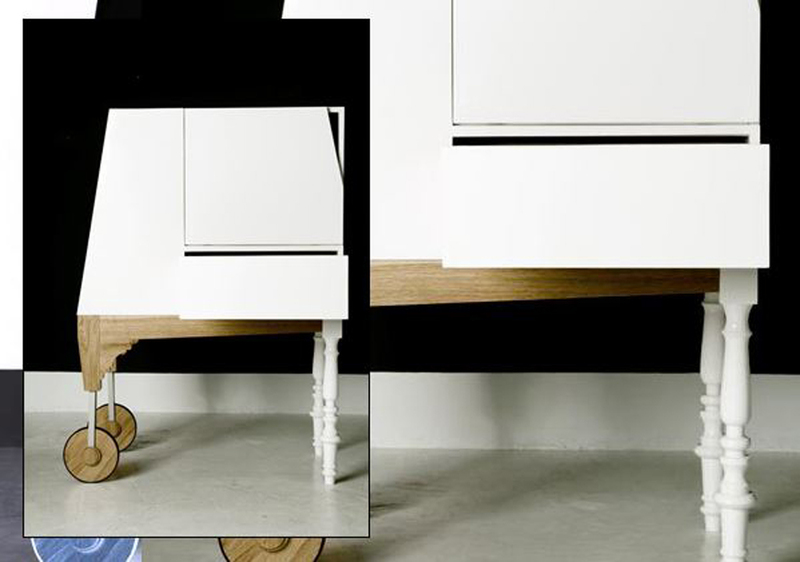 The cabinet was designed by Studio- Ziben and is finished in a glossy white coat on the MDF side and varnish on the oak parts making it durable to wear and tear of day to day use.